Who remembers Big Little Books? Walt Disney's Donald Duck: The Fabulous Diamond Fountain by Carl Fallberg. #5758, Copyright 1967, 39 cents. Soft cover. The term Big Little Books originated in 1932 to describe certain books being published by Whitman Publishing Company that offered a great amount of reading material and Big reading pleasure in a Little compact book. Most Big Little Books were 3 5/8" x 4 1/2" x 1 1/2" in size and 432 pages in length. The Golden Age of Big Little Books was 1932- mid 1938, the Silver Age mid 1938-1949, and the Modern Age 1950-present. 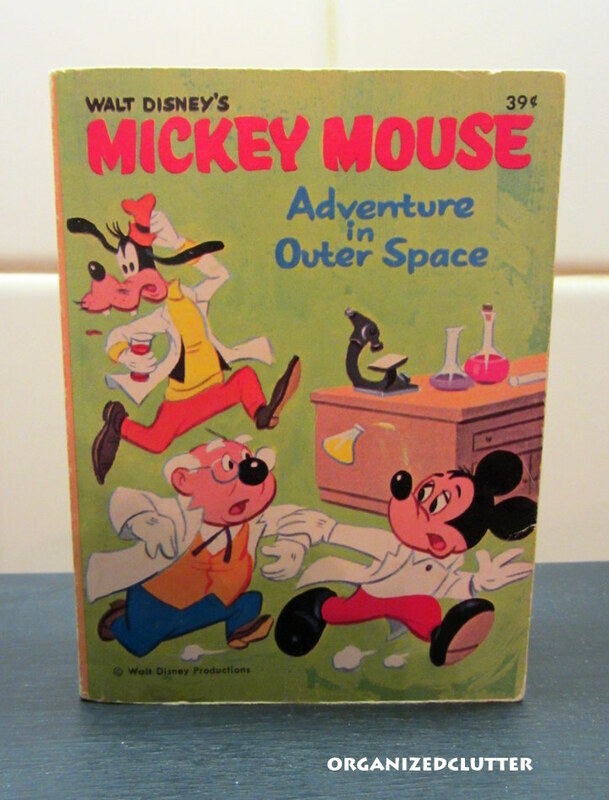 Walt Disney's Mickey Mouse: Adventures in Outer Space by George E. Davie. #5750, Copyright 1968, 39 cents. Soft Cover. I don't have a large collection of big little books, just three from the 1960's. The Lone Ranger: Outwits Crazy Cougar by George S. Elrick. 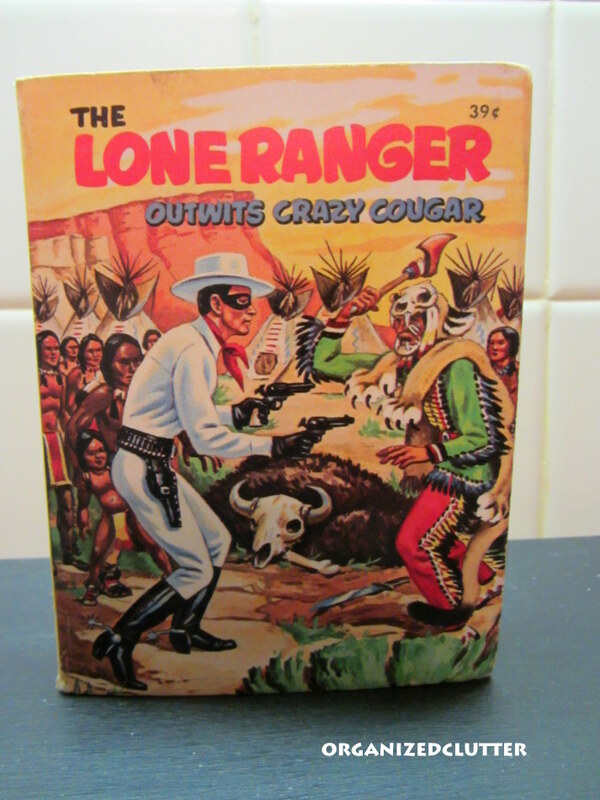 #2013, Copyright 1968, 39 cents. Hard Cover. 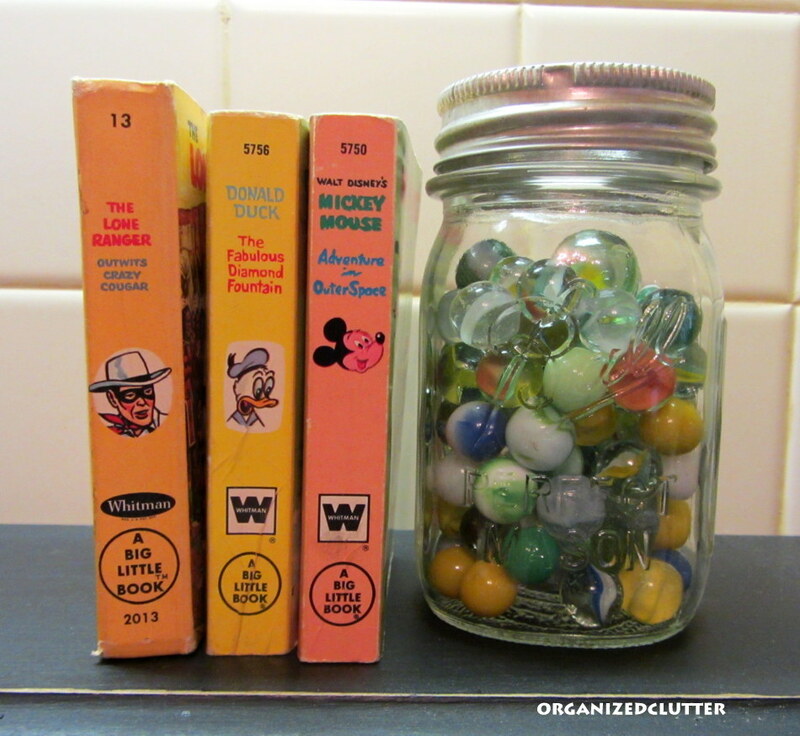 Yep, after a playing marbles outdoors, a 1960's kid could go inside and read a Big Little Book. I think I have a few of those!!! I have all my books from my childhood squirreled away here. 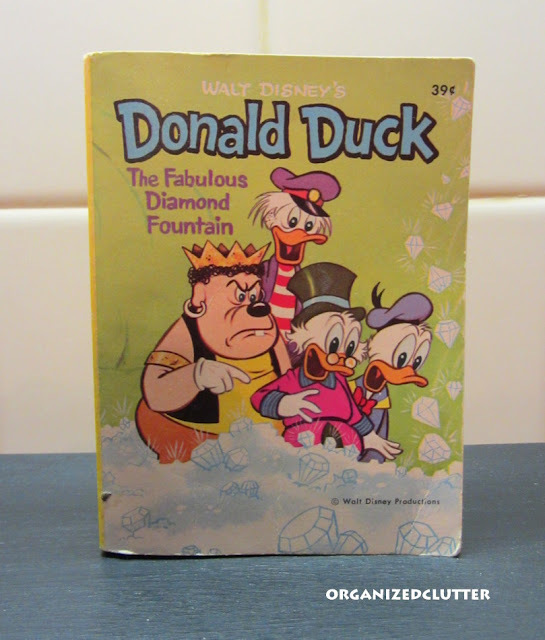 Most are the Little Golden Books, but I have a few chunkier ones. Your Mickey In Outer Space looks fun. They probably run into some Martians. Yes! I loved my big little books. We had some. I think we had both the Donald Duck and the Mickey Mouse one you showed. We also had one about the Tazmanian devil. At a flea market a couple years back a guy was selling a few, but he wanted too much as far as I was concerned at the time so I didn't buy one. Plus I do believe I still have one or two up in the closet in my daughter's room. There was always so much drama in those. That's what I remember most, being so worried about the characters because they were always about to be caught by some evil force or something. I got so caught up in the stories. Ha! Great collection Carlene. I DO remember them...with love! I don't really remember big little books. I did have Golden Books and loved them. Great collection! I don't remember these....that's a bit strange. Maybe they were between my childhood and my kids. Hi Carlene, love your big Golden books. I do remember them. I'm sure that we had a few but don't know where they ended up. Thanks for sharing yours with SYC.